display: none; // for accessibility, use a visually hidden method here instead! Thanks, reddit! content: attr(data-th)": "; // who knew you could do this? The internet, that's who. This tutorial is to show you how to install recalbox 4.0.2 in a Raspberry Pi 3 and make a true retro gaming machine. 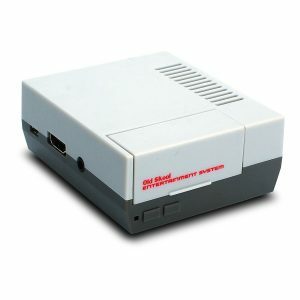 First of all what’s better RetroPi or Recalbox? Personally for me it all depends on choice and preference. Both are good in their own ways. 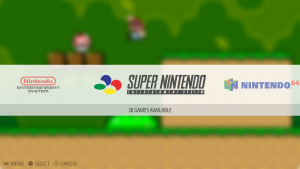 Both run Retroarch and Emulationstation. So not much of a difference. 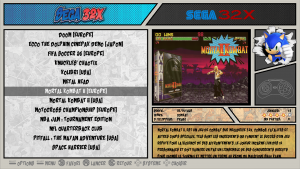 But there are some features that only RetroPi has and some that only Recalbox has. Web GUI (just type //recalbox in browser) to monitor system, upload roms, edit and manage files, updates, etc. 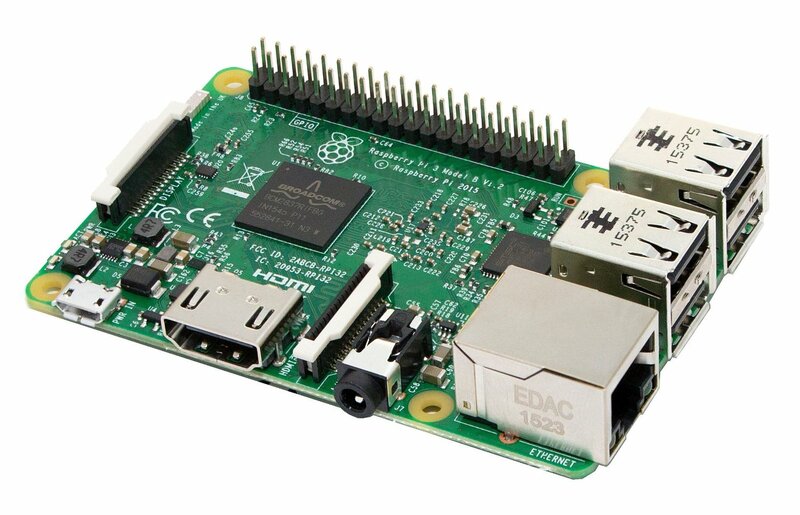 Best for less Tech-Savvy people or people who don’t want to get more out of their raspberry pi besides retro gaming. We will need some copper heatsink cooler for this setup. The case comes with airflow grill but doesn’t have a fan support. Your Micro SD Card or USB drive must be at least 8GB in size. 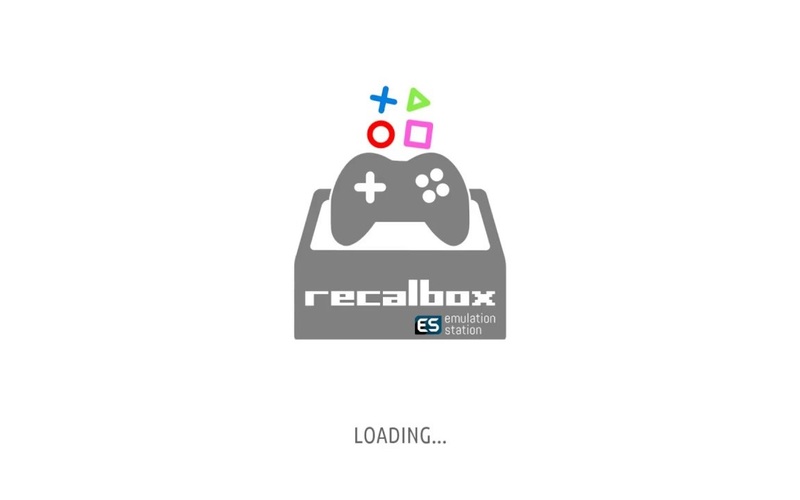 Recalbox recommends Sandisk Ultra series cards or drives. 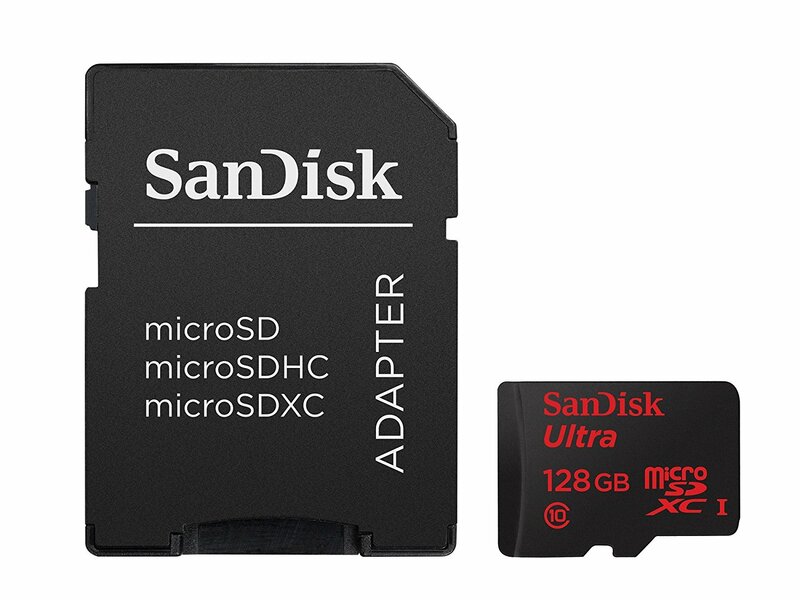 I got the Sandisk 128GB Ultra Series Micro SDXC Card. This one will be handy if you decide to go the MicroSD route. Honestly, for the case above, Micro SD looks so much better than USB drive as we won’t have to plug anything in the front. It is recommended to use a dedicated Power Adapter instead of using your TV’s inbuilt USB port. 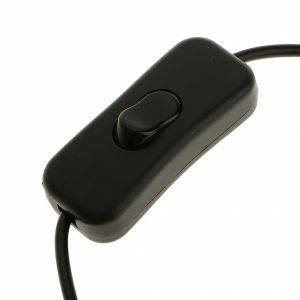 USB Switch – Adds simplicity to your setup. 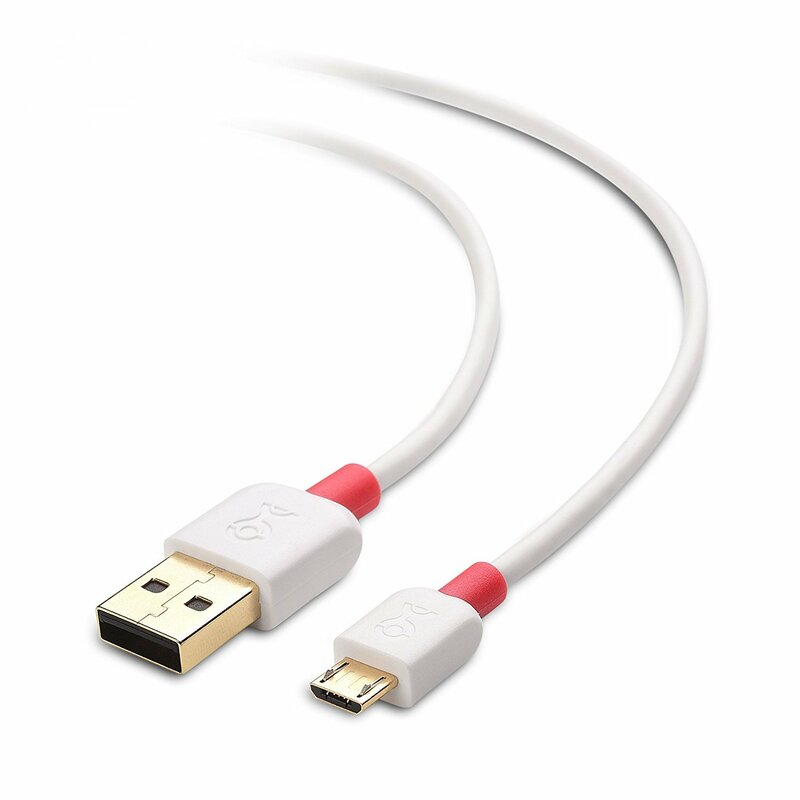 Make sure you get the usb one and NOT the micro usb one as all the switches that I’ve found is black in color. We don’t want to have a black wire running from the pi to the power outlet. 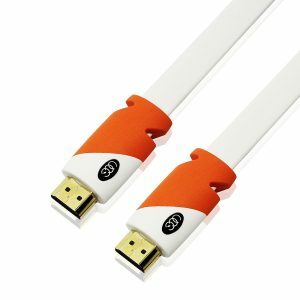 JBtek® Raspberry Pi & Arduino Male to Female USB Cable with ON / OFF Switch – Easy Start / Reboot ! 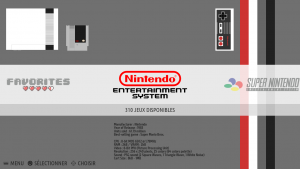 Bluetooth / Wired Controller – I prefer 8bitdo NES30 Pro Bluetooth Controller as it looks classic with our pi setup. But, you can also use Playstation 4 controller if you have one at home. If you decide to go with PS4 controller then we might have to tweak the code a bit. First, just go ahead and put everything in place in terms of setup. 1. Unzip and/or install 7Zip, Putty, Win32 Disk Imager and GUI Fat32 Formatter. 2. 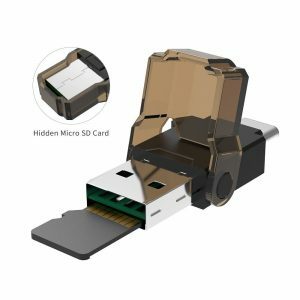 Take your Micro SD card (or USB Drive) and insert into your PC. 3. 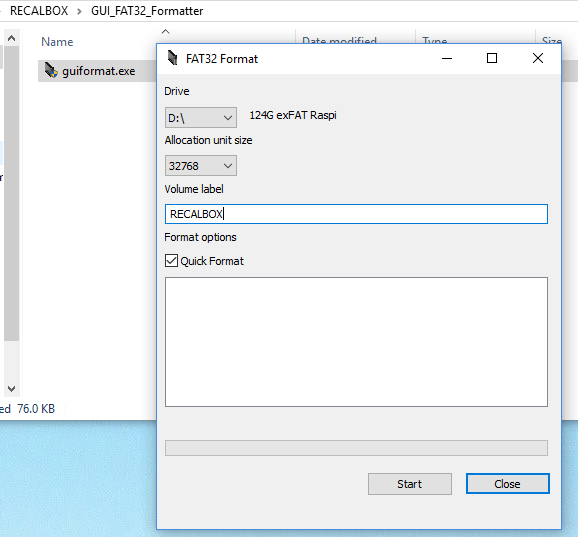 Open GUI Fat32 formatter and format your MicroSD Card (or USB Drive). 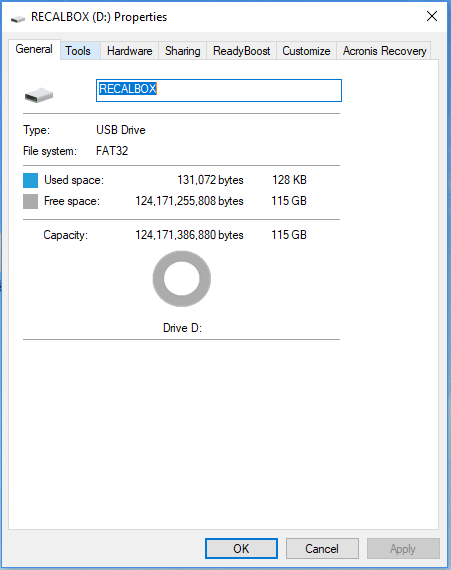 Make sure it formatted into FAT32 filesystem. 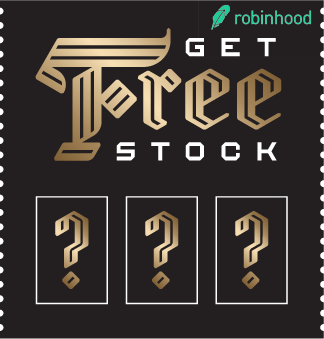 You can check this by going into drive properties. 4. 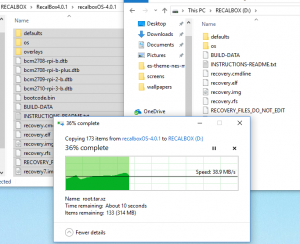 Unzip Recalbox 4.0.1 OS and copy it over to root of your MicroSD (or USB Drive). 5. Safely eject the Micro SD Card or USB Drive from your PC. 1. 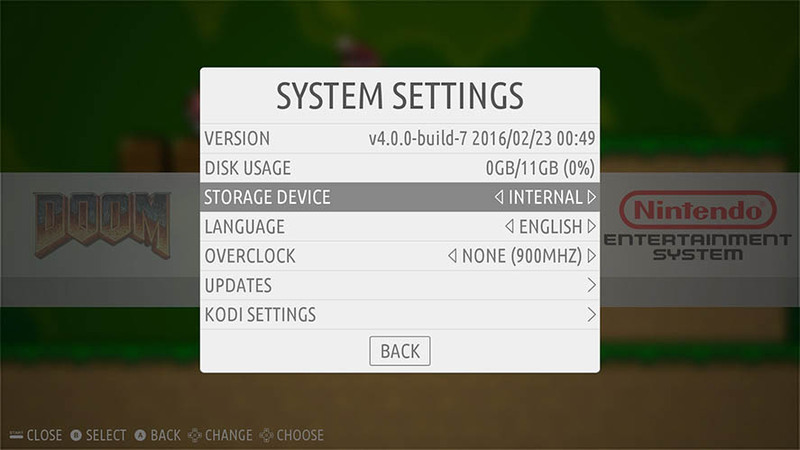 Insert your Micro SD Card into Raspberry PI 3 and connect your HDMI to TV and Micro USB Cable to your power outlet. 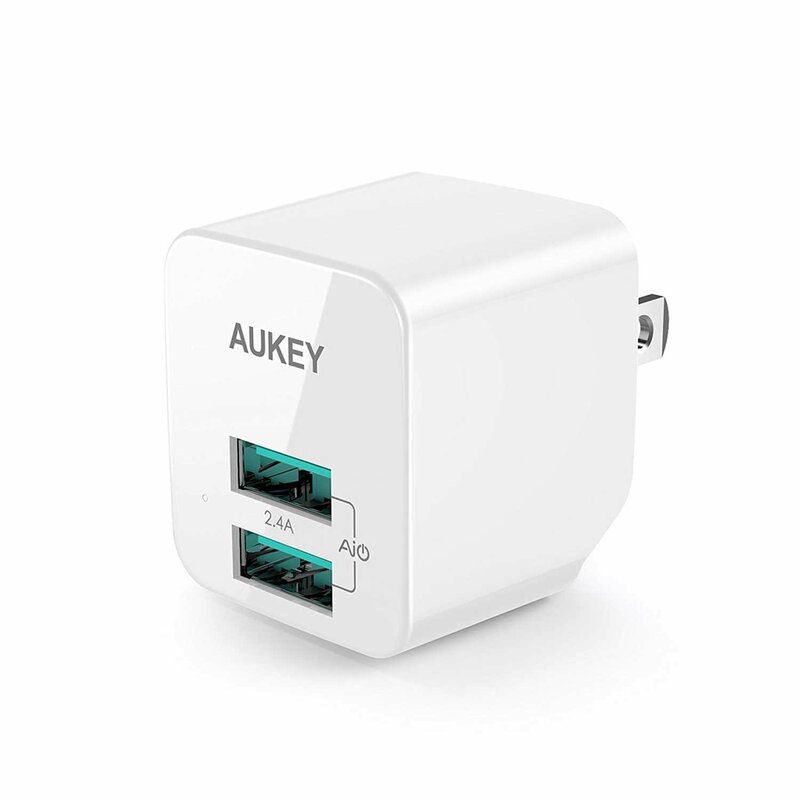 It is recommended that you use dedicated adapter instead of TV’s inbuilt USB port for power supply into your Raspberry PI. 2. 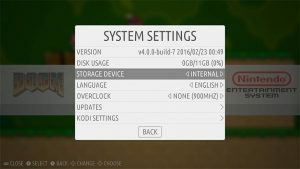 Your Pi should boot into Recalbox Setup and install the OS automatically! As easy as 1-2-3! 3. 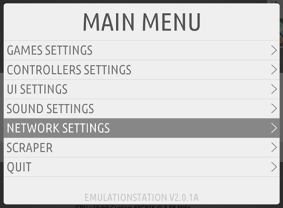 After everything is done, you will enter the Emulationstation Screen where you will have some default ROMs that you can test it out. 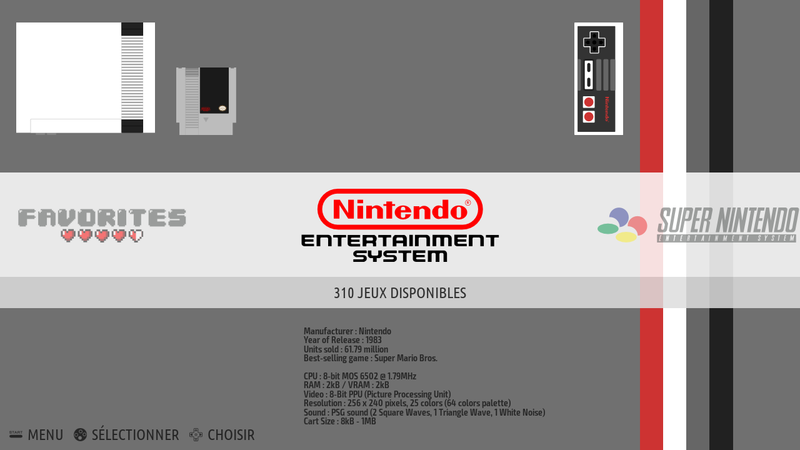 You are ready for some retro-awesomeness!! For the initial setup I suggest you have a keyboard with you as we will need it to configure wifi and other settings. Also I highly recommend you use a Wired USB controller for initial setup. You can use USB cable if you have 8bitdo wireless controller. 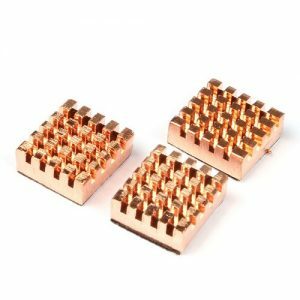 Go ahead and connect your wired USB Controller (8bitdo, PS4 or XBox controller will work just fine). 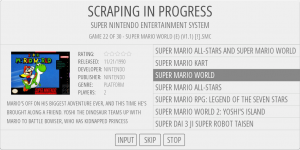 Once detected you will see an on-screen popup that will ask you to press and hold a key on your controller. Then just go through your controller key mapping setup process. That’s it! 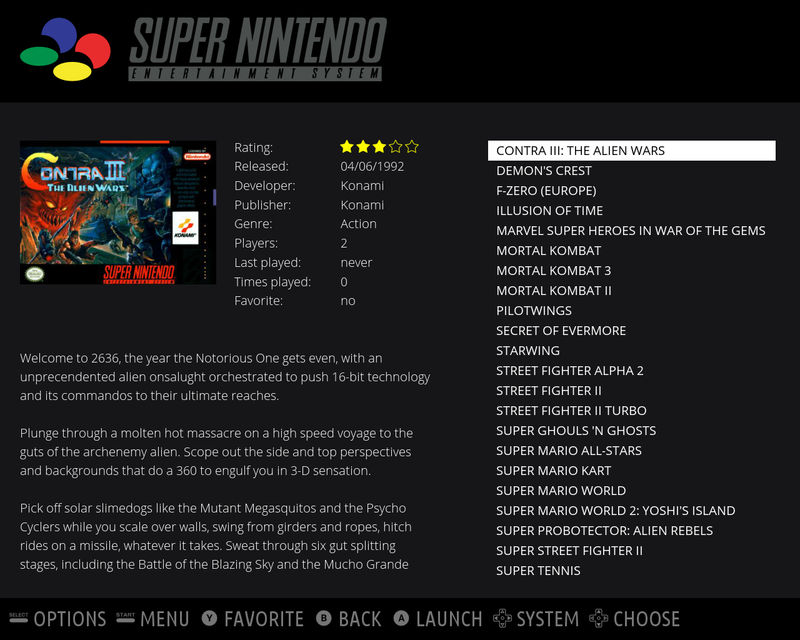 You can now play all the retro games. To add a bluetooth controller, set your controller in pairing mode. 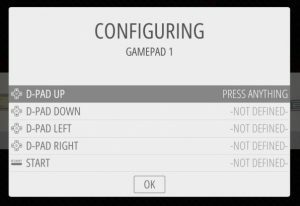 Go to the menu with wired controller or a keyboard and select Controller Settings. A list of detected controllers will appear. 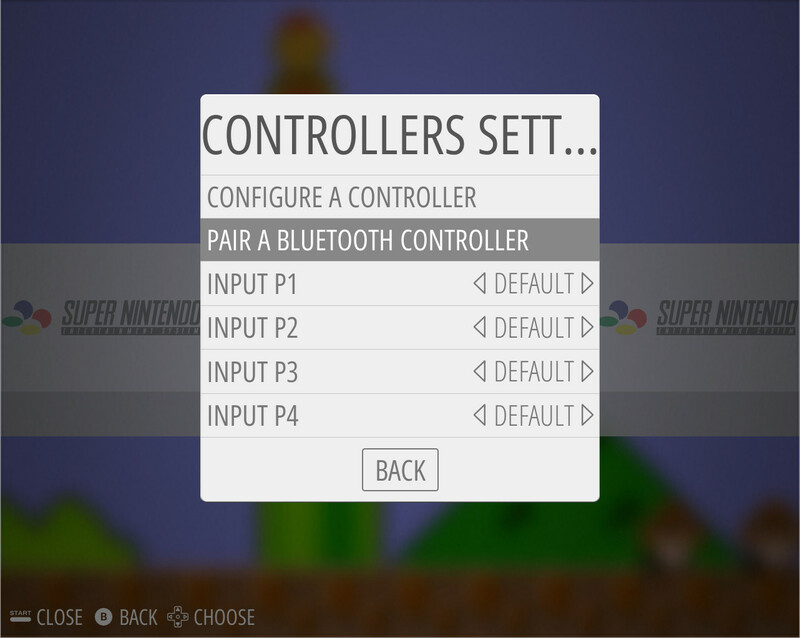 Select your controller from the list pair it. That’s it! 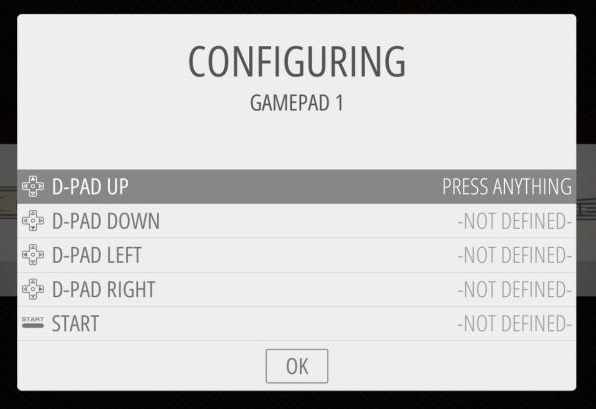 You can configure it if it’s not already a supported controller! Note: When mapping keys, the HOTKEY is a button that will activate buttons combination. For example, to get out of a game into the Emulationstation main menu screen you must press HOTKEY and START button at the same time. For more info on supported controllers click here. You will need a keyboard for this setup. 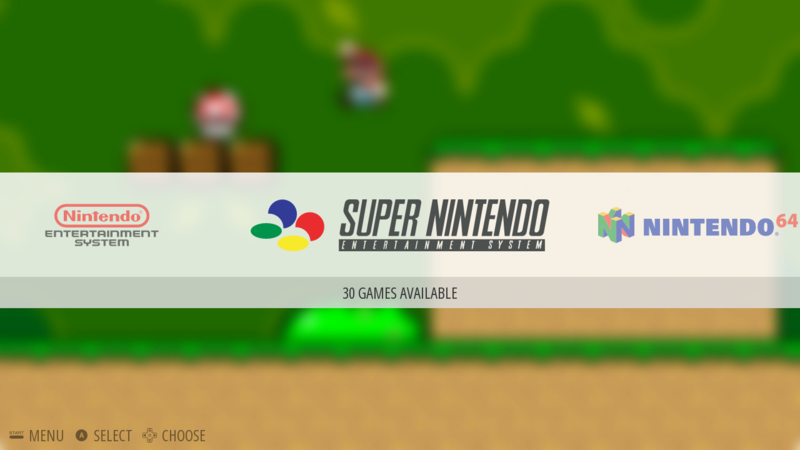 Press Start (or go to EmulationStation’s Main Menu). 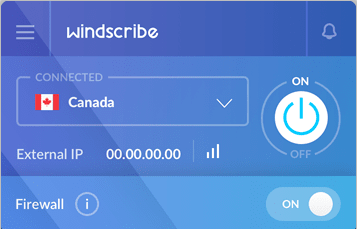 If your recalbox doesn’t automatically connect to wifi just go ahead and restart. Make sure you use 2.4GHz connection as the RPi3 does not support 5GHz connection. 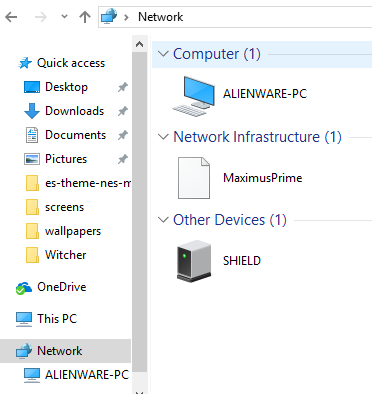 Once connected, it should show the status as connected in Network Settings. 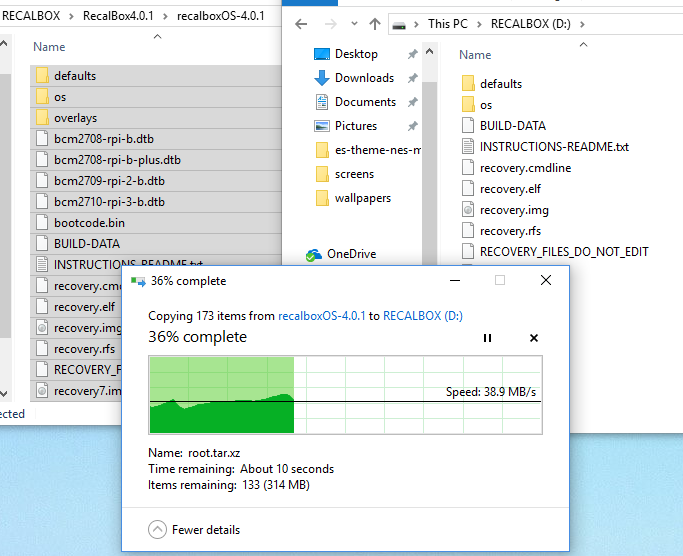 The latest stable verison of Recalbox OS release that you can download, as of today, is 4.0.1 but 4.0.2 update is already out. 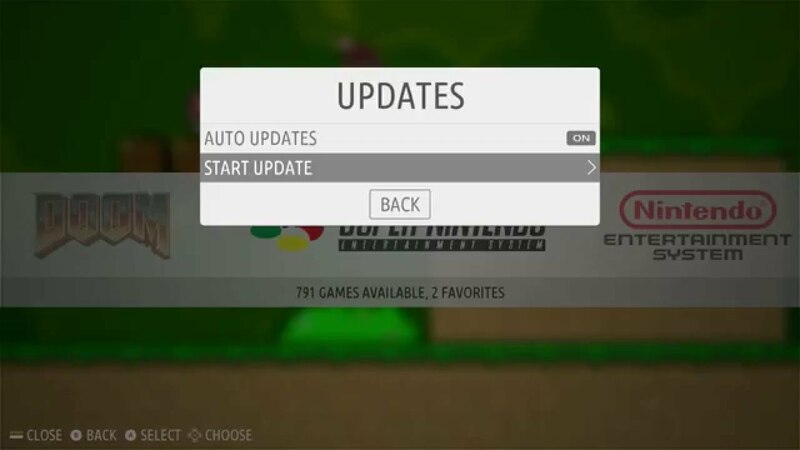 So, the first thing I would recommend you to do after wifi and controller setup is the OS update. And, make sure the Auto Updates feature is set to on. Go to Start Update and follow on screen instructions. It will ask you for a system reboot. Go ahead and hit OK. This might take couple of minutes and should update to 4.0.2. Make sure you have putty installed in your computer (look into the zip file you downloaded). Goto Network Settings in your Recalbox. 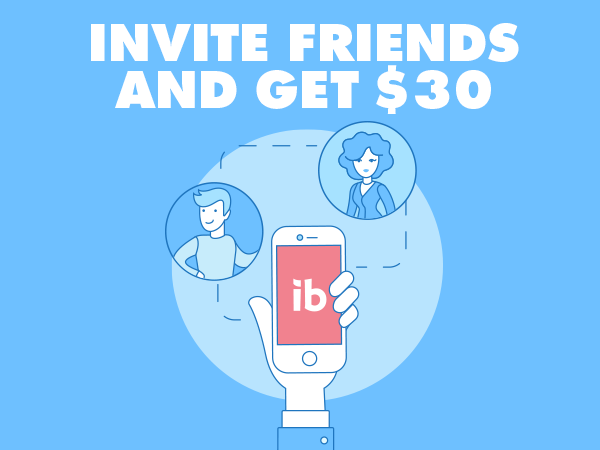 Look for the IP Addresss. It should say something like 192.168.1.121. In putty, under hostname type in this ip address. Make sure the port number is set to 22. Click the Open button. You should see a terminal screen that asks for username and password. Type the username and password as above. If it asks to add your login to known hosts file. Type ‘yes’ and hit enter. You now have the root access! In order to install themes, make sure you have the Recalbox Theme folder ready from above. 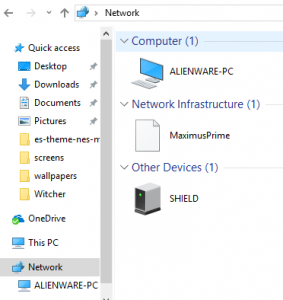 Open your Network from your PC. If you can’t see Recalbox in there then you will have to go through the FTP route as in my case. I couldn’t see the share folder in there so had to use FTP Client like FileZilla. Before you do that, make sure you can see all hidden files. 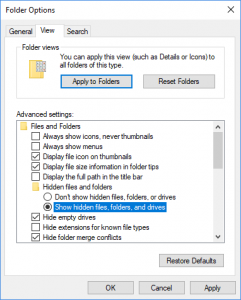 Just go to folder options and make sure Show hidden files, folders, and drives is turned on. 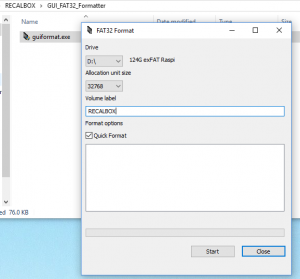 Open your favorite FTP client like FileZilla and use the same credentials as above to FTP into Recalbox using SSH. 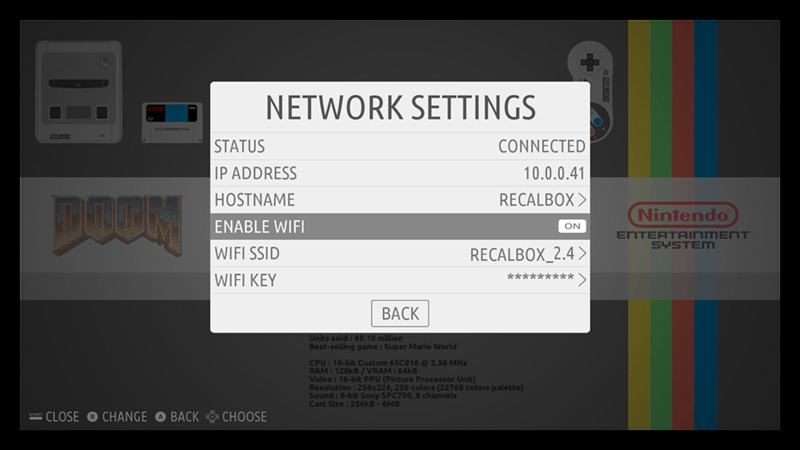 And Select the theme from the UI Settings in Main Menu in Recalbox and restart your pi. That’s it! 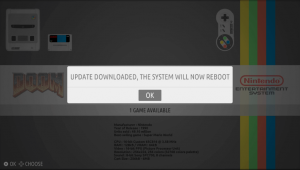 You will see a folder named ROMs and inside it you will see all the supported systems. 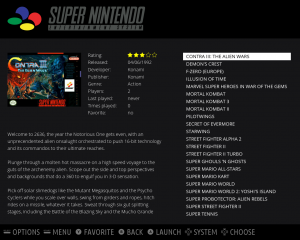 Just copy your game ROMs to the respective folders. 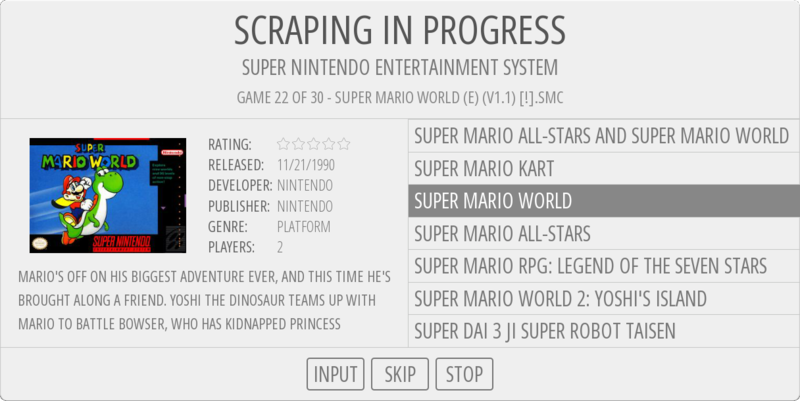 On scraper window select the scraper source(from). And start scraping! 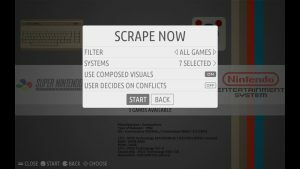 This will add beautiful artwork and game images into each games you have. 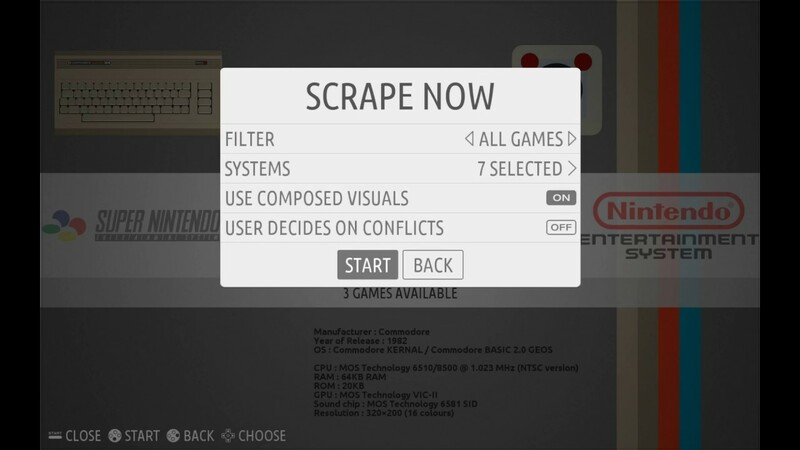 If it gives you multiple option to choose from for a game artwork, select the one that best fits the name and press A key (or any other key that selects the option). This is just a precautionary step. Once you setup everything you might want to make a backup copy of a working OS. 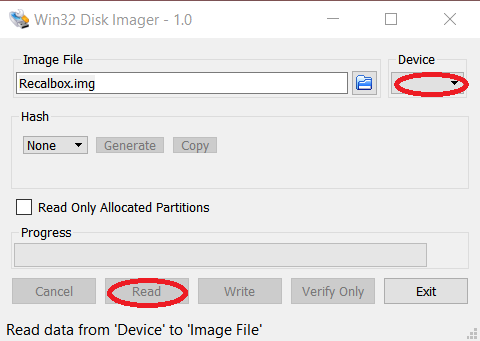 Just go ahead and use Win32DiskImager to create an .img backup of your SD Card / USB device. 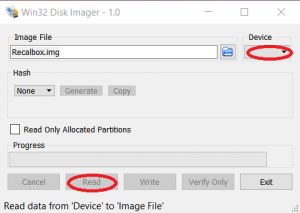 Click on the Read button and this should create a backup file in your PC. The PS4 controllers have an integrated audio module that prevents the broadcast of sound on your tv, or speaker. You need to blacklist audio module.